Purchased 2003 Boxster 2.7L Tiptronic with 6400 miles as Porsche CPO from Newport Porsche in 2007. I am the second owner and the current mleage is 19600 miles. No RMS leak or IMS failure to date - The underside of the engine/trans area is bone dry and shows no signs of previous leaks/oil seepage. So far, so good! Routine oil changes at 5000 mile intervals or every 12 monthe regardless of mileage. Spirited driving style after bringing engine up to operating temps as a precaution. I am, however, seriously considering an IMS retrofit from LN engineering preemptively as others have done. I will be getting a quote from Hergesheimer Motorsports in Lake Forest, CA next week. Me? I do all my own wrenching. But if I ever came across something so daunting that I felt I needed to take it to someone, it'd most certainly be the porsche certified guys. Not some guy just like me. Our Jeep dealer charges 110.00 an hour, so the P-Car dealer labor costs aren’t too far off. Join PCA, you get a discount at dealerships, maybe even mom/pop shops if you ask. Evens the field a little. Local Nissan and Honda dealers are getting $125-140 per hour to work on your Sentra or Civic; so why wouldn’t a decent Porsche mechanic (dealer or independent) charge $125-150 per? Considering the required knowledge and specialized tooling these cars require, that rate is quite reasonable. There is always a learning curve on different tasks. I prefer to go to a specialist if I were going to have a delicate surgery, true maybe the Veterinarian could do it. The specialization of a Porsche etc. shop have seen a lot and done a lot on the specific brand. 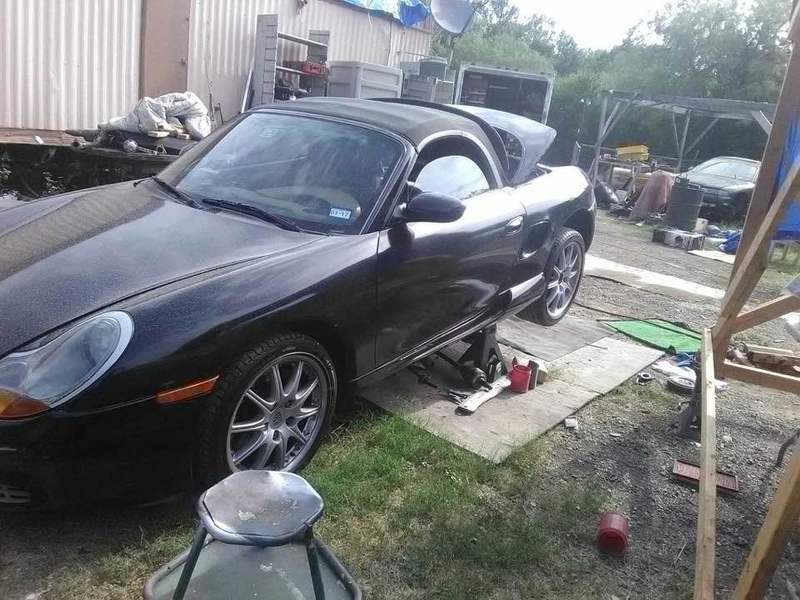 If you don't want to pay a shop to work on your Porsche, you could always get an Engineering degree and be able to figure out how to do it yourself? If you don’t want to pay the going rate, try setting yourself up with everything necessary and do it yourself;...... .
Hahaha.... BINGO! Right on, JFP. I love telling people this in my business. "Oh, you think an electrician should cost only $45/hr? Ok.... i'll pay YOU $45/hr to do it. But first: here's where you can sign up for the 4 years of trade school. Oh, and here's the tool list you'll need. You'll need a truck to put your tools and materials in. Oh, and remember that you'll need to do your continuing education courses each year to keep your license current. Then there's the cost of health insurance, the 401k match, the vacation time, etc. Oh, and state and federal taxes, liability insurance,..... etc "
No different than those saying we overcharge for the parts we manufacture. Shops need to make their margin as do the wholesalers. Most shops make more money on parts than on labor and many shops have told me they operate on less than 10% margin. That's why we've seen so many shops fold up in the last few years. I have a shop as well and overhead for that side of the business is in the $80-85/hr. That's the bare minimum an hour I have to charge to keep the lights on. Once the new Governor passes additional taxes in IL, health insurance goes up (again), I'm sure that number will rise. That doesn't take into consideration actually making money. Shops in the Chicagoland area charge upwards of $200 an hour. Oh I absolutely agree with you. 100%. You'll note than in another thread I specifically defended YOUR pricing. But you'll also note another recent thread wherein I commented that when someone pays your premium price, for your premium product, it really should FIT, without having to "ream it out". It goes both ways, Charles. I tell my people all the time: "we either have to be better, or we have to be cheaper. I gotta have something to sell on." Just because a shop charges higher rates doesn't mean they're better. They need to actually be better. This is why I won't use the Garff shops in SLC: They've had my jeeps, my jaguars, my Audi, my Mercedes', and done a piss-poor job on all of them. They're not getting a chance at another one of my cars. You've established yourself at the top of the market, price-wise: Your quality should be there too.